'No gays allowed' in Northern Ireland? Northern Ireland’s proposed anti-gay amendment would make it legal to deny service to lesbian, gay, and bi people. Restaurants, hotels, and many other businesses could refuse to serve people just because of who they love. Please remove this amendment from consideration. Throw it out and send a strong message that Northern Ireland stands for equality. Could lesbian, gay and bi people be refused service in Northern Ireland? Northern Irish Assembly Member Paul Givan wants to make it legal for businesses to turn people away, just because of who they love. The Assembly breaks for Easter in just a few days. 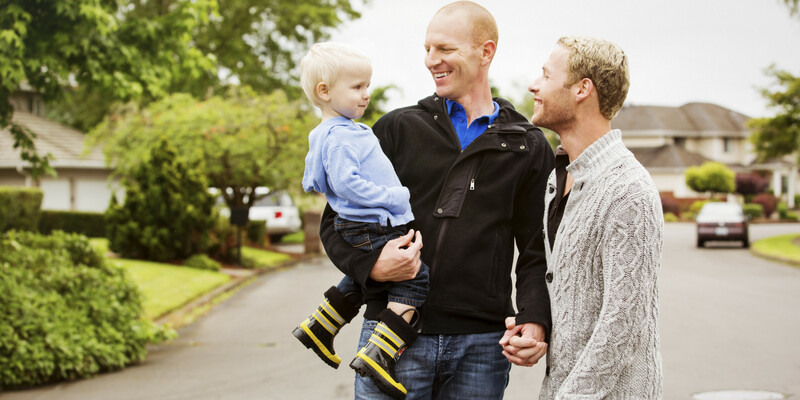 Paul Givan could rush to submit his anti-gay bill before the break, unless he sees that the outcry against his homophobic plan just keeps on building. Paul Givan is feeling the pressure: he even mentioned our huge petition last week in the Assembly. Can you add your name now so we get to 300,000 signatures before the Assembly breaks on Thursday? Sign now. 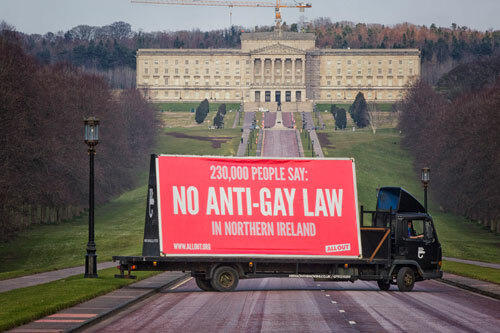 900 of us chipped in to pay for a massive billboard van to tour Belfast with our message. The Belfast Telegraph – an influential Northern Irish paper – picked up the story. See the photo below! First published: February 23rd 2015. Updated: 23 March 2015.